2019 Ford Ranger - Coming Soon to Ford of Upland dealership! Let's face it, we just don’t seem to be able to get enough of pickup trucks these days, and as Ford is very much the preeminent truck builder an all-new pickup from the Blue Oval is big news to get excited about. The all-new model in question is the 2019 Ford Ranger, but if you’re expecting a reworked version of the Ranger that last rolled of an American production line in December 2011, then it's time to think again. truck is being built here at Ford's Wayne, Michigan facility, and production got underway towards the end of October. What is the 2019 Ranger? The 2019 Ranger is something a departure as far as North American Ford trucks are concerned these days, and that's because it's a midsize pickup truck instead of a full-size offering. Pickups are increasingly popular with a wide range of consumers, and the more manageable dimensions of the new Ranger can only widen the appeal even further. Ford's new pickup will be available in SuperCrew and SuperCab body styles, with the SuperCab featuring rear-hinged doors which won’t open independently while the SuperCrew has four full-size doors. The SuperCrew also has a six-foot bed instead of the five-foot bed of the SuperCab, so expect the majority of Rangers to be SuperCrew models. Unlike the F-150 and its dazzling array of engine options, all versions of the 2019 Ford Ranger will feature the same engine and transmission combination. That's unlikely to be much of an issue though as the Ranger features a thoroughly modern and impressively powerful engine under its hood. The unit in question is a 2.3-liter EcoBoost turbo-four, but if you have reservations about a truck not having at least a V-6 you really need to give this one a closer look. The first thing to note is this EcoBoost unit puts out a more than healthy 270 horsepower and an even more impressive 310 lb.-ft. of torque. That not unsubstantial amount of power is sent to the rear or all four wheels through Ford's outstanding 10-speed automatic transmission, and the available FX4 Off-Road package makes the Ranger even more capable. Of course, even though the Ranger is a midsize offering it's still a pickup truck and capability is what pickups are really all about. Although a midsize is never likely to rival a full-size truck when it comes to towing and hauling capabilities, the Ranger comes closer than most. Some midsize rivals can’t offer much more when it comes to towing than a lot of larger crossovers, but the Ranger can handle up to as much as 7,500 pounds. It's a similar story with hauling as the Ranger has a maximum payload capacity of 1,860 pounds, which along with that tow rating is a best-in-class rating. 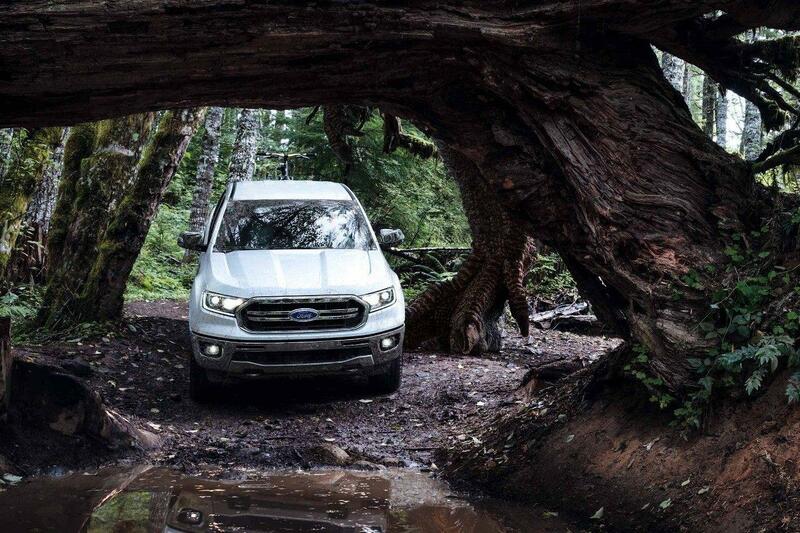 The 2019 Ford Ranger will be landing in showrooms anytime now, so don’t hesitate to get in touch with Ford of Upland, your number once choice Ford dealer in Upland for more details about pricing and availability and to schedule a test drive to experience the new Ranger for yourself.